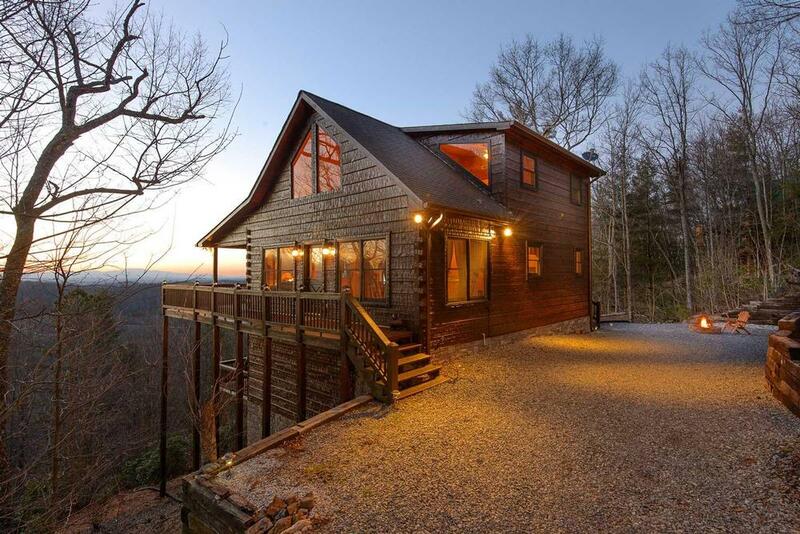 With its breathtaking views, first class amenities and prime location in Morganton in the Wilscot Mountain area, Hoot Owl View is the finest in Blue Ridge mountain cabin rentals. Its unusual name comes from the road it sits on and the nocturnal birds that nest in the surrounding woods. If you listen closely late at night, you can hear the hoot owls call! From the moment you arrive, a sense of peaceful bliss and rejuvenation of the spirit engulfs you, beckoning you revel in the harmony of nature. Overlooking a valley with incredible mountain views, Hoot Owl View's majestic setting will enthrall you from dusk till dawn as you enjoy your morning coffee or evening nightcap under the stars from its wraparound deck. 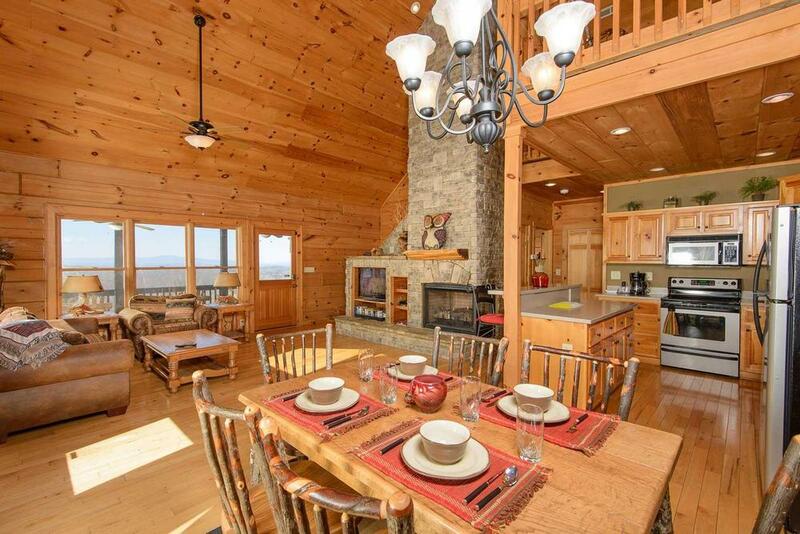 Outside its doors is an adventure lover's paradise, as it's a short drive from the cabin to Lake Blue Ridge public beach and a marina with boat and jet ski rentals, hiking and biking trails, and swimming, tubing and horseback riding. In the mood for less strenuous activities? No problem! Pack a lunch and picnic on the Toccoa River, explore Mercier Orchards, take a scenic train ride, sample the wines at Serenberry Vineyards just approximately 1.5 miles away, and shop and satisfy your hunger at the restaurants and pubs of downtown Blue Ridge. 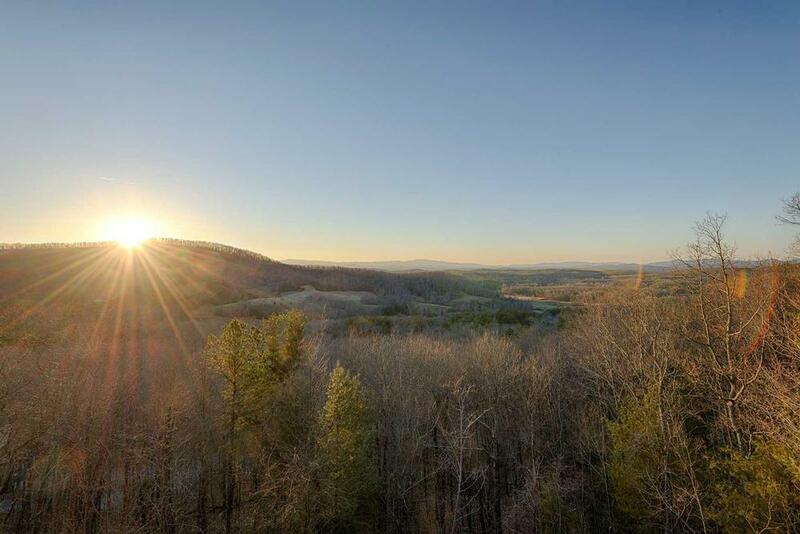 Returning to Hoot Owl View, you can settle in for a sunset on the deck, toast marshmallows over the fire pit, fire up the gas grill for a barbecue (the outdoor table seats six), read a book in the swing seat or take a romantic walk under the stars. Inside, you can play a game of pool, challenge friends and family to a round of ping pong, or settle into the family room's comfortable furniture, and chat or watch TV—the cabin has three HD flat screens, a DVD player, and a selection of DVDs, books, and wireless Internet. Hoot Owl View is the epitome of rustic elegance, from its hardwood floors, tongue and groove wood walls and ceilings, and main floor cathedral ceiling to its wildlife accents that reflect its setting. The kitchen, with its Corian countertops, spacious cabinetry and top-notch appliances and adjacent dining area with seating for six will make preparing meals for your family and guests a pleasure. 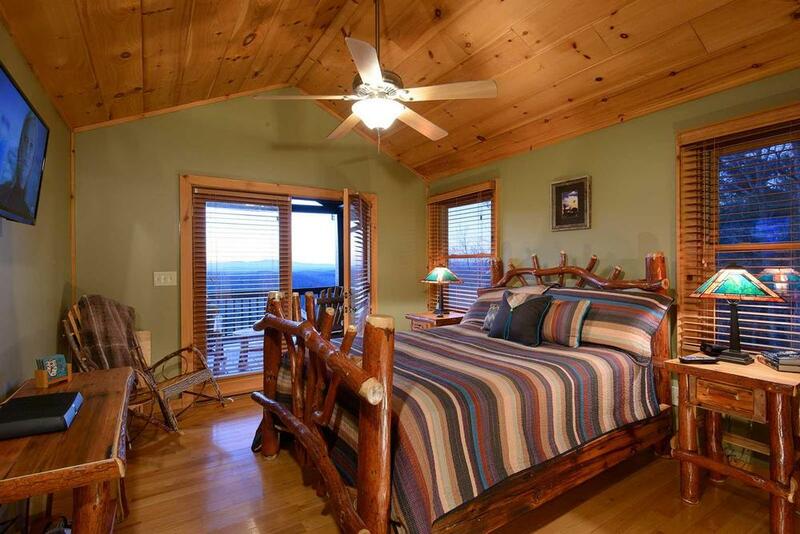 When it's time to turn in, you'll choose from three cozy bedrooms, each with a queen bed, and each with a magnificent west mountain view. 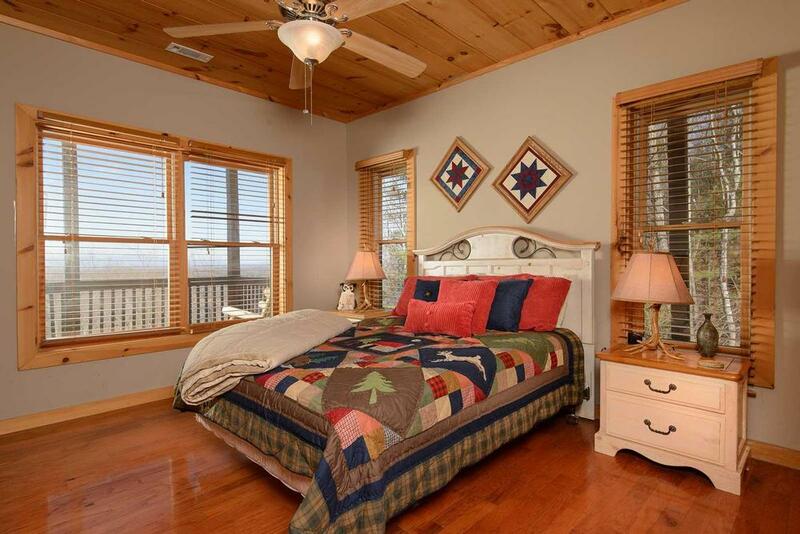 The third level master bedroom sports a bathroom with double sinks and sliding glass doors, flat screen TV, private balcony with two rocking chairs, and Keurig coffee maker so you can enjoy your morning Joe without leaving the room! 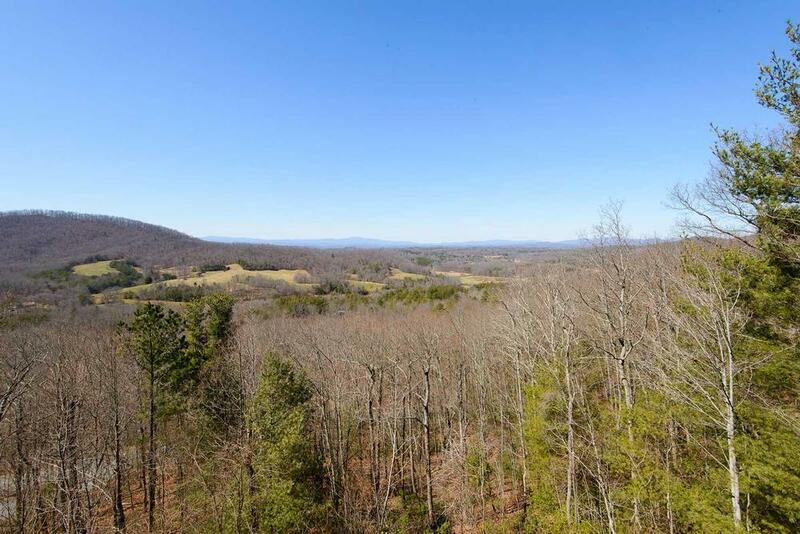 Other amenities include three full bathrooms with spacious cabinetry, plenty of closet space, a main floor laundry room, and a dog bed and kennel for your best friend---at Hoot Owl View, you're welcome to bring up to two dogs with you. Ideal for a small family, three couples or you and your best friends, Hoot Owl View is the perfect place to celebrate, escape, explore and enjoy all the Blue Ridge Mountains have to offer. 03/19 - W enjoyed the fireplace and the ping pong table, and the view was great! The customer service was amazing and when booking Erin (I think her name was) was the reason I decided to book with y’all. 03/19 - The view is amazing! The staff are very helpful and nice. 02/19 - The cabin was beautiful and in a great location. Very professional company!! 01/19 - Enjoyed the pool table and the view. 01/19 - The view was spectacular and the house was spacious. 08/18 - Everything from the fantastic view right down to the kitchen utensils was wonderful. We especially loved the wrap around deck on the main level with the locking gates. That was great to use as a dog run when we went out and about for the day. We're repeat customers for a reason! 08/18 - The cabin had all the little amenities that you don’t see in most places. We were very impressed with Escape to Blue Ridge. 05/18 - Very modern fixtures, perfect size, no carpet and location and the views were fantastic. The staff were courteous, polite, responsive. 05/18 - The mountain view, decor and space. Very professional, take a lot of pride in the company to keep it successful. 05/18 - Great company, I will be recommending you for years to come. 3/18 - It was great! Very clean. Awesome company! Very professional. 1/18 - Enjoyed the scenery! Home was beautiful. 09/17- Amazing view! Wrap around decks. Well appointed and equipped cabin. So flexible and great to work with both times we stayed at Blue Ridge. Great reservation staff as well as customer service. People came right out to help with the fireplace and wifi. Very friendly and helpful. 08/17- Loved the gorgeous mountain view and the serenity of the cabin. The cabin was beautiful and just what I hoped it would be. Escape to Blue Ridge employees were great to work with. The young man who suggested Hoot Owl View was spot on for what we wanted. 06/17- Stunningly incredible location and view; nicely appointed accommodation; seamless transaction in acquiring reservation; overall ideal getaway. Everyone was a pleasure to work with. 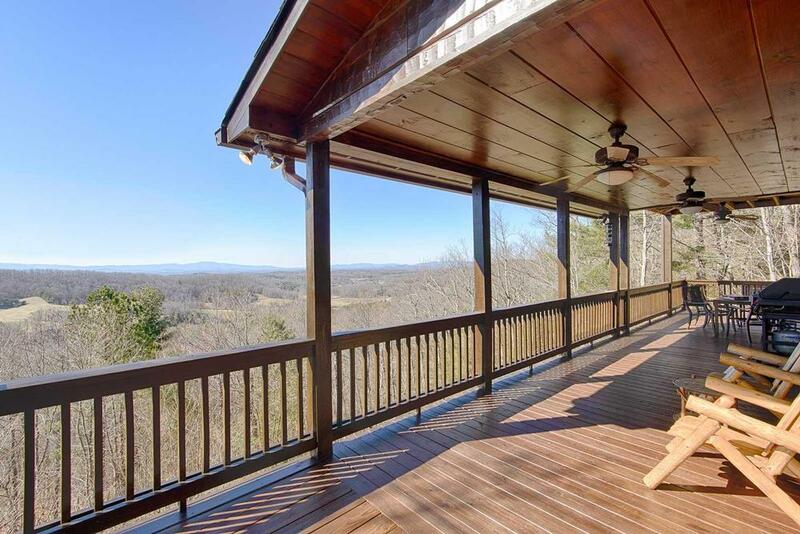 03/17- This home has excellent views from all levels of the deck. 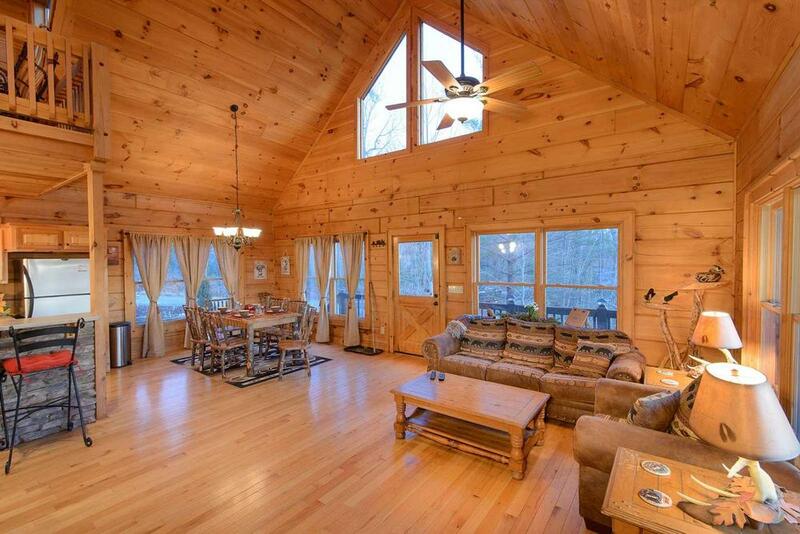 Escape to Blue Ridge offers some of the best cabins. The dÌÄå©cor, the game room area, the hot tub, the fully stocked kitchen, the beautiful furniture... Everything about these cabin is amazing. 02/17- The space this home provides is so well worth the rental. A large bedroom is located on each floor including the basement, allowing guests to have private time when they need it. Two indoor fireplaces and a fire pit in the yard were just an added bonus that made this cabin special. 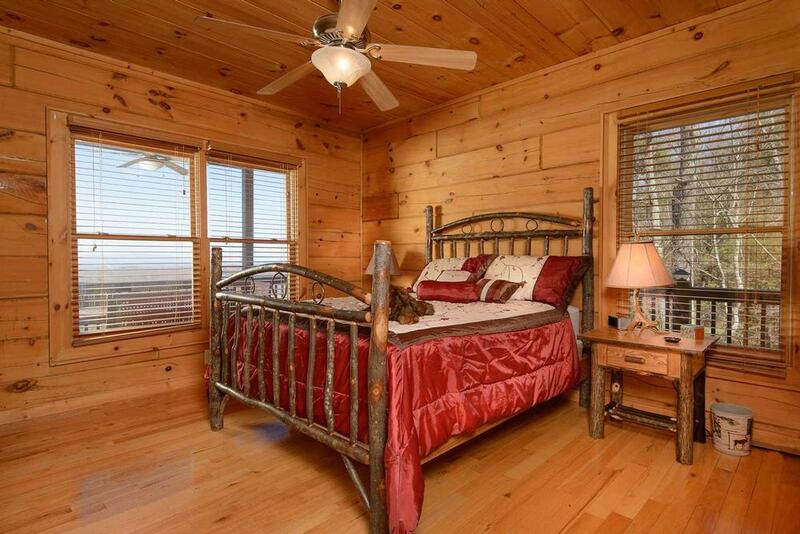 The cabin was beautifully decorated and the view from every bedroom and deck was simply breathtaking. All of the staff were extremely helpful in booking the cabin. We used this vacation as a sisters-getaway and we all agreed that we want to return to Hoot Owl again and again. You cannot go wrong with this company. Thank you to everyone for making this a life-changing experience for me and my sisters! 02/17- The cabin was clean, quiet, & relaxing. Professionalism at its finest! 11/16- Don't know where to begin, it was all so wonderful. The views were spectacular! 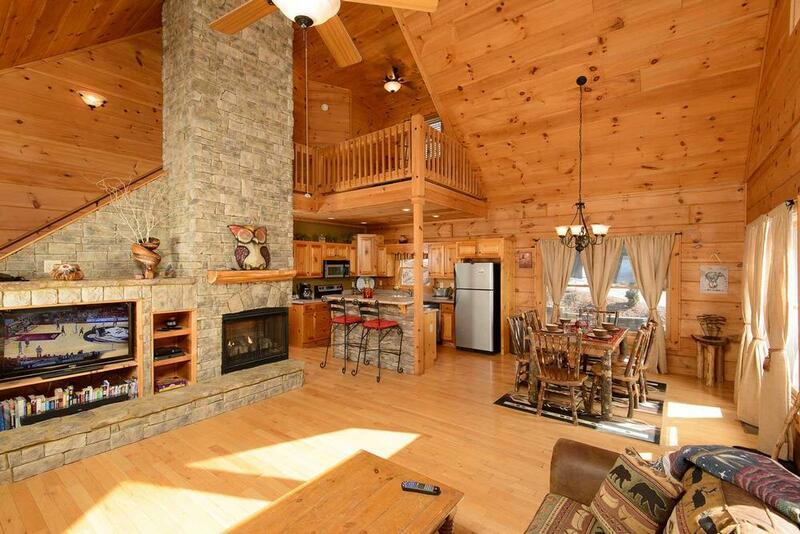 The cabin was so clean and decorated beautifully. We loved having the pool/ping pong table and all the board games to play with. It is so peaceful being up high looking out at the mountains. We did not want to leave Hoot Owl View. It is truly a blessing. Your company is great! Your staff is excellent in giving you all the information you need. Your staff was always friendly and prompt in answering questions either by email or phone call. Your customer service is excellent and gets a 10 in our book. We will definitely rent again! 11/16- The cabin was very clean and comfortable with beautiful views! The company is very easy to deal with and the staff were very helpful. 11/16- LOVED THE VIEW! The layout of the house was conducive to 3 couples having room and privacy. 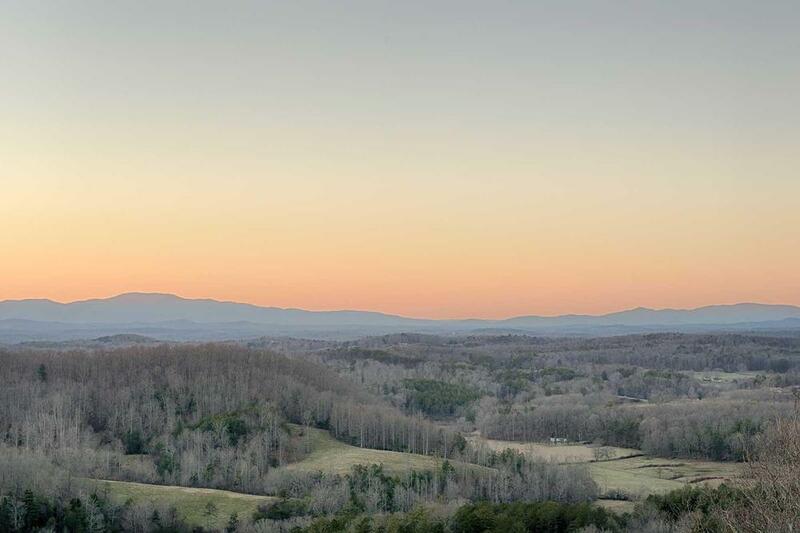 Of ALL the management companies I have dealt with regarding mountain rental properties over the past 30 years, Escape to Blue Ridge was the BEST. Attentive, communicative, informative and friendly. Will ALWAYS use ETBR for future trips and have already referred other folks. 11/16- We loved the decks overlooking the fantastic views. The facilities in the rec room were great although it could have done with a little table to perch drinks on whilst playing ping pong or pool. The remote controlled fireplace was fabulous. The kitchen was well stocked. The books and games are a nice touch. Overall, it was a wonderful experience from start to finish. Very professional and friendly staff. I was very impressed with the process and how easy it was. I will definitely be booking again with you in the future. 09/16- The cabin was beautiful and well kept. The company was easy to deal with. 08/16- We did not enjoy this cabin. 06/16- We loved the beautiful view and proximity to Lake Blue Ridge. We also loved that every room had a queen bed and that there was a pool table and ping pong. 03/16- Very peaceful. The log stairs were a little challenge but overall a nice cabin. 11/15- The mountain views were fantastic! 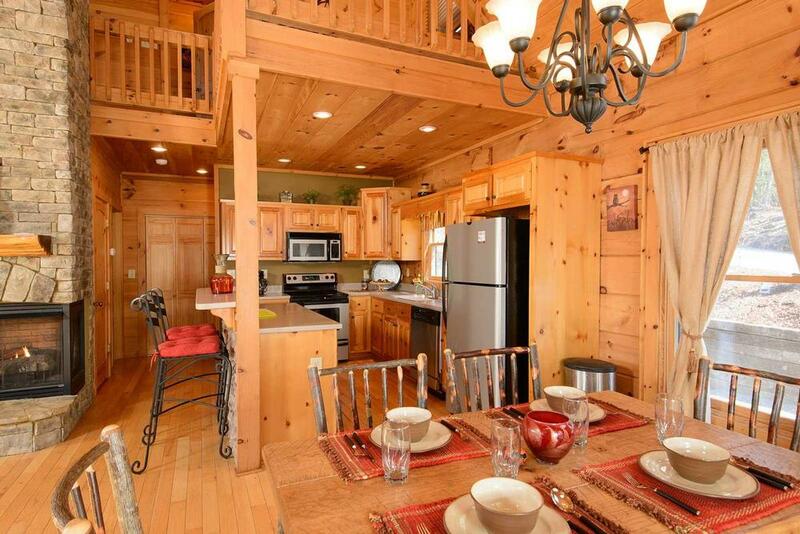 The interior of the cabin was very attractive, and the kitchen was very convenient. I liked the ease of the whole billing system. And I liked the fact that pets were welcome. I also liked all the staff I spoke with on the phone; they were courteous and helpful. 11/15- The View was fantastic. The cabin was super clean and furnished beyond any cabin we have stayed in anywhere. 08/15- The spaciousness and the view were great. Having used the company several times, I continue to be impressed by the efficiency that is evident every time. 07/15- The view is awesome. The website was very user friendly. Booking agent was helpful and friendly. 04/15- View, the pillows,easy booking, the cleanliness were all favorites. Very good and professional experience. 1/18 - The moment we walked into Hoot Owl View we totally understood its name. Amazing views no matter what time of day or night. Every morning waking up to the view in the master bedroom was so peaceful. Our granddaughter who loves owls loved exploring the cabin with all the different knick knacks, pictures, etc. of owls. The heaters in the bathroom made it so nice for those cold mornings after getting out of the shower. The double fireplaces were so much of an extra bonus. I cannot say enough about this beautiful amazing place, only thing it was sad to leave. 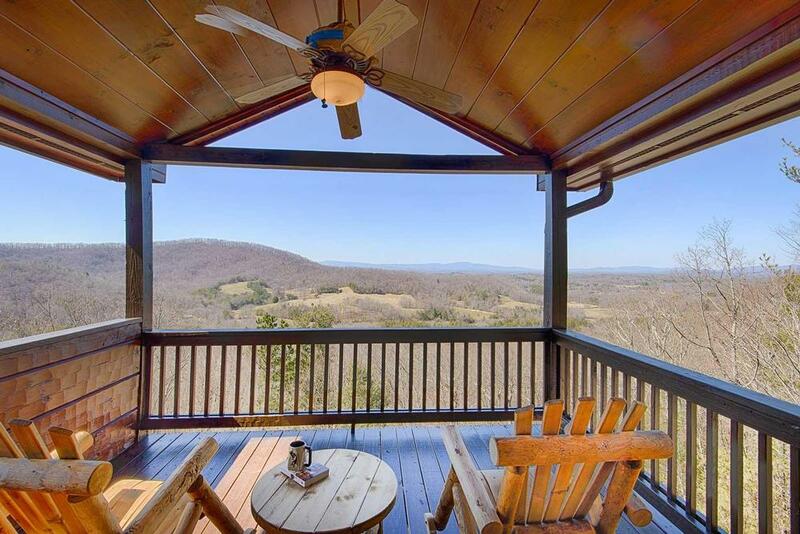 We will definitely be planning another trip to Hoot Owl View. The staff at Escape to Blue ridge is very professional, responsive and easy to work with to plan a weekend getaway or a long vacation. All questions were answered and local information was given, all issues were handled in a fast and professional way.